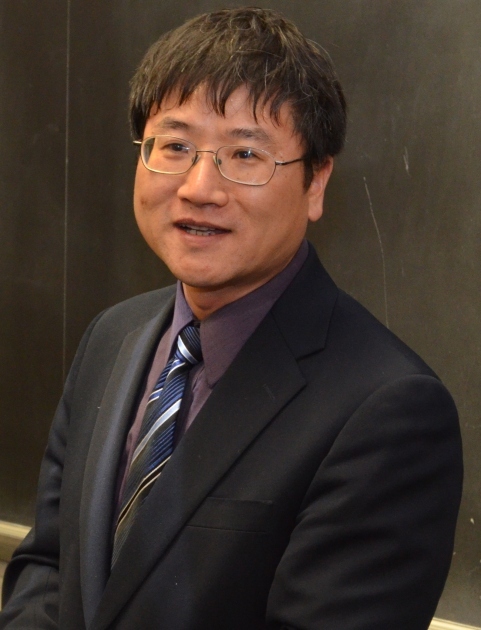 Qiang Lin, assistant professor of electrical and computer engineering and optics at the University of Rochester, has been named the first Leonard Mandel Faculty Fellow. The award, which includes a two-year, $25,000 stipend, recognizes exceptional achievement by a junior faculty member in coherence and quantum optics. Lin received his Ph.D. in 2006 from the Institute of Optics, where he worked as a graduate student in the laboratory of Govind Agrawal. “He published 30 research papers before graduating, a record that is unlikely to be broken,” said Agrawal, the James C. Wyant Professor of Optics and professor of physics. Following his doctoral work, Lin was a valued postdoctoral scholar in the laboratory of Oskar Painter at the California Institute of Technology. He returned to Rochester in 2011. Lin now directs the Laboratory for Quantum, Nonlinear and Mechanical Photonics, studying the fundamental physics of light and its applications, including secure communication and advanced computing. His group has made important contributions to the burgeoning field of quantum information processing. In 2013, he received a prestigious Faculty Early Career Development grant from the National Science Foundation, a five-year award given to junior faculty who distinguish themselves as outstanding researchers and educators. He has published numerous papers with his University of Rochester research students in prestigious peer-reviewed journals of pure and applied physics and optics. “Qiang is an intelligent scholar, ambitious scientist, and kind person,” said Wei Jiang, a Ph.D. student in Lin’s lab. The Leonard Mandel Faculty Fellow Award was established this year by the Department of Physics and Astronomy. It is given in honor of the late Leonard Mandel, a long-time University of Rochester physicist and pioneer of quantum optics. 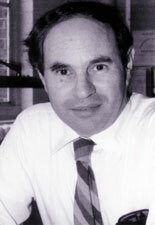 Mandel joined the University in 1964, and was highly regarded for his experiments that demonstrated for the first time a number of the exotic and counter-intuitive phenomena predicted by quantum optical theory. “Len systematically tested quantum theory, producing the finest experiments in the world to test the foundations of quantum optics,” said Emil Wolf, the Wilson Professor of Optical Physics. “His experiments were models of simplicity and elegance. It was the way you would do the experiment if you were as smart as someone like Len Mandel,” said his colleague Ian Walmsley, former director of the Institute of Optics. Among his many achievements, Mandel trained 39 doctoral students, earned top awards in optical physics, and was elected to the National Academy of Sciences. He is remembered by colleagues and friends as an excellent teacher and a first-class researcher, and a kind, generous man. The Mandel award is funded by donations from his family, former students and admirers of his work. For more information about Leonard Mandel and his legacy, see his obituaries in Nature and the University of Rochester Newsroom.